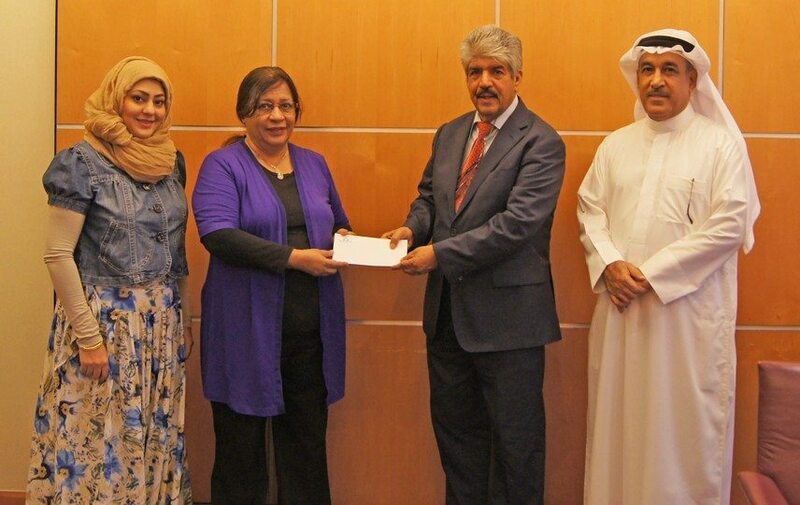 Seef, in lieu of its social responsibility towards the community, has extended financial contribution of BD 3,000 as support towards the Bahrain National Hereditary Anaemia Society. The donation comes as a part of the company’s humanitarian effort to raise awareness for health campaigns in an attempt to overcome genetic blood diseases and reduce the infection rate. The donation was presented by Dr. Mustafa Al Sayed, Corporate Social Responsibility Chairman to Dr. Shaikha Al Oraidh, Bahrain National Hereditary Anaemia Society, in the presence of Mr. Zakareya Buallay – Seef Board Secretary and Ms. Layla Al Hussaini, Bahrain National Hereditary Anaemia Society.